So what Lurianic Kabbalah concepts will the stories be instilling in Francis? Since Francis already knows about good vibrations and loves to mock Our Lord, Jesus the Christ, is it any wonder he was overjoyed at receiving this book? His inner (chasidic) Jew must be jumping for joy! 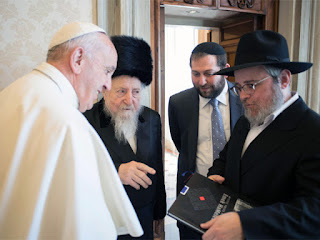 We at Call Me Jorge... wonder what Lurianic Kabbalah bilge will be flowing from the mouth of Francis during his homilies, inculcating the unsuspecting people in the pews throughout the upcoming summer months? 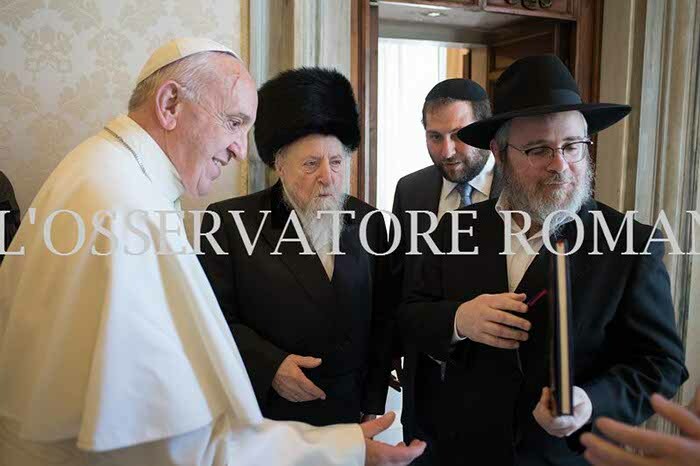 bigdei shabbos finery, has his assistant present the book to Francis. 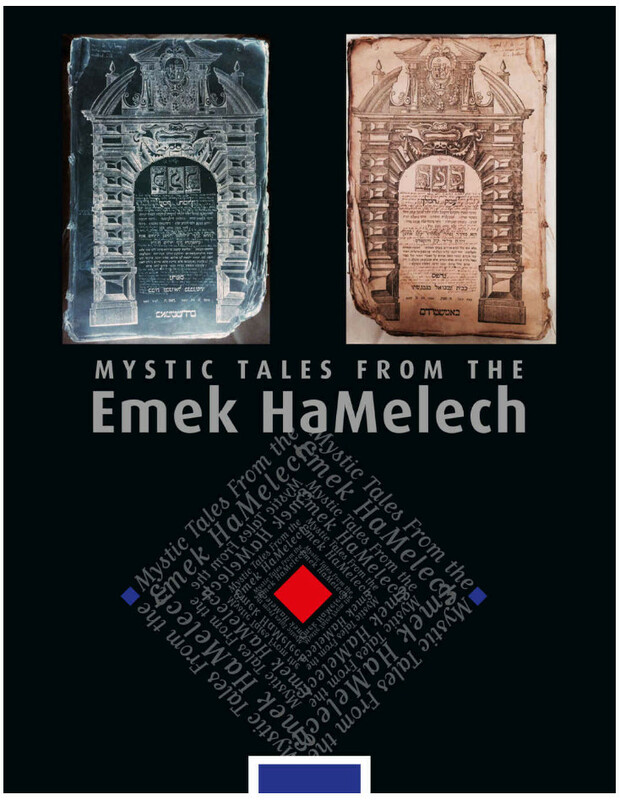 The Chasids show the cover of ‘Mystic Tales From the Emek HaMelech’ to Francis. 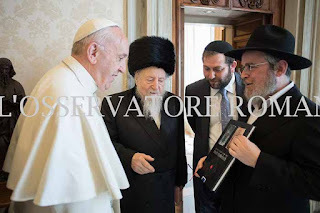 Rabbi Chaim Boruch (Edgar) Gluck explains the book to Francis. Delighted Francis receiving the kabbalistic book. 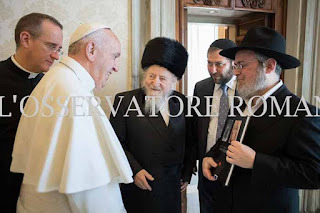 He (Mr.Bergoglio) is either demonically possessed or will suffer from demonic possession by opening himself to demonic influence on an almost daily basis. 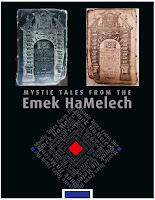 I knew one valid Catholic priest who refused to even talk the Kabbalah because it was so overtly Satanic.